Here is a good, very readable article that tries to dissect the hype around 5G without dragging you down into the weeds with a lot of arcane technical data. The short version of the article is perhaps summed up best by a quote from Former FCC Chief Michael Powell: 5G is "...25 percent technology, 75 percent hype." Deploying "true" 5G is going to take a lot longer than most of the articles would lead you to believe, because it's not just upgrading radios on existing towers. To deliver 5G in a specific area and provide widely available service requires adding lots of small cell sites on shorter utility poles, lamp posts, and anything else the carriers can strap some ugly boxes to. And that takes time. And as I have noted before. Most 5G cell sites require FIBER connections to enable the over-hyped, over-promised bandwidth. 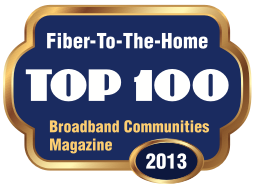 Fiber is the current and future king of broadband.